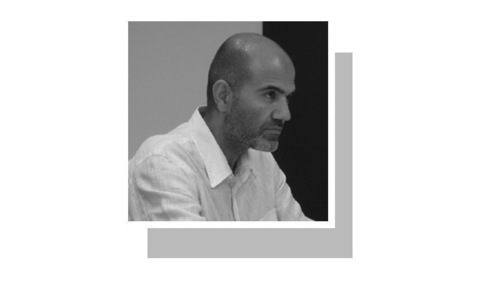 The writer is a Karachi-based political economist. 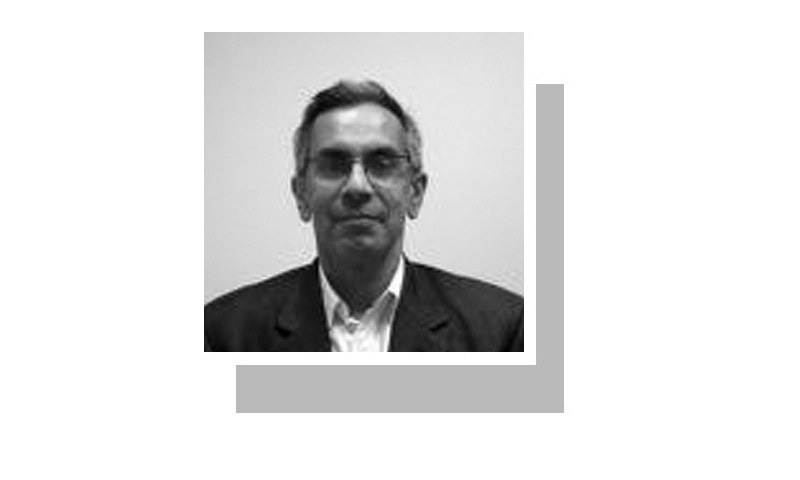 ALL those who had hoped that Pakistan’s economy may have finally hit rock-bottom and may just have turned a corner, and that the wreck created by the finance minister and his team might have stabilised, are in for a rude shock. We are still at the beginning of the huge damage relentlessly being done to Pakistan’s economy by an irresponsible and incompetent management and leadership which has destroyed the economy over the last eight months. It certainly did not add to anyone’s confidence when the finance minister himself was recently reported to have said that “Pakistan may be going through an economic crisis”, or that we are “near bankruptcy”, a view shared by the adviser to the prime minister on commerce, textile, industry and production and investment who also said that the economy was in a “bad shape”. The governor of the State Bank, agreed, adding his sombre and dire statement about where we are today, warning about dismal prospects in the future, politely saying that growth will ‘moderate significantly”. However, be warned, things are about to get much worse. Two things need to be pointed out. One, that while the current government did certainly inherit an economy which was desperately seeking reform, after eight months it can’t blame previous governments and has to take responsibility for its own mishandling. After two failed mini-budgets, some introspection is necessary. Second, a look at a few key indicators will only emphasise the point of how bad things have become. With inflation at its highest in five-and-a-half years, we are only seeing the beginnings of a period of double-digit inflation. 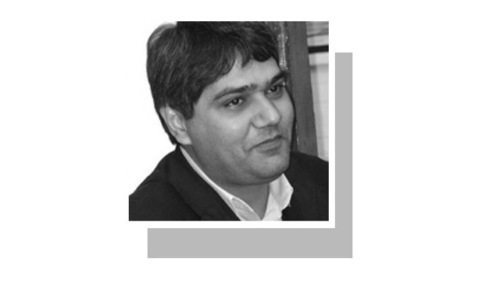 The rupee is losing value every other day, adding to this inflation, and will depreciate a great deal more, whether, or especially when, the government gives in to yet another IMF programme. The rupee is losing value every other day, adding to inflation, and will depreciate a great deal more. The fiscal deficit is about to hit more than six per cent of GDP, and even a cut in development expenditure will not stop this rot, as defence spending and interest payments continue to rise. Our exports, despite the 35pc devaluation, have barely budged, the circular debt continues to increase, interest rates are also going up making the cost of business even more uncompetitive. One can go on and show a vast array of statistics which unambiguously show that this government has ruined the economy. With the State Bank lowering GDP growth to an eight-year low of around 3.5pc, those begging for money (most of which has already been spent in one way or another) from the four friends we have left, need to think of better alternatives. And tax amnesty schemes are certainly no solution. There is nothing which represents the complete disarray and disconnect in understanding and thinking about Pakistan’s social and economic issues by this government, and their attempted solution than the two announcements made recently. The first was made by the prime minister of Pakistan on March 28, followed by one made by his finance minister reported the next day. Prime Minister Imran Khan announced “the biggest and the boldest” poverty alleviation programme of Pakistan called Ehsas, with a number of measures supposedly to address many of the country’s persistent economic problems. This, at a time, when poverty numbers have fallen and poverty has ceased to be Pakistan’s biggest problem, now replaced by huge and visible disparities in income and wealth. The apparent determination and importance of these measures to the government, were emphasised by the prime minister’s announcement, that he would ask for a constitutional amendment to move Article 38(d) from the ‘Principles of Policy” section into the ‘Fundamental Rights’ section, making the “provision of food, clothing, housing, education and medical relief for citizens who cannot earn a livelihood due to infirmity, sickness or unemployment, a state responsibility”. Undoubtedly, these are admirable intentions and a part of his Riasat-i-Madina project. But where the money for such grandiose schemes will come from, given the state of the economy, is a complete mystery. A far more robust taxation policy, taxing the very rich and transferring this money to those who deserve it, would address Pakistan’s growing inequality, and might allow social welfare spending as well, but the government fails at such structural measures of reform. The very next day after the prime minister’s announcement, it was reported that the finance minister had stated that Pakistan was finally about to secure a bailout package from the IMF of between $6 billion and $12bn in late April or early May. These two statements represent a huge disconnect between what the prime minister envisages and how his finance minister thinks the economy ought to be managed. There is a basic contradiction here between both these aims and positions, and both have diametrically opposite consequences. This should be fairly obvious to anyone, no matter how well intentioned, if they have even a miniscule understanding of how a country’s social and economic policy is managed, and what the consequences of an IMF programme will entail. The anticipated IMF programme, which is almost a certainty now, is going to make things far worse for all Pakistanis, and especially for the working people already dealing with prospects of a marked economic slowdown and far higher prices. The IMF will further cut the miniscule development expenditure we have left, although defence spending will remain a matter of ‘national security’, hence, not to be touched. The IMF brings about austerity, stabilisation and cuts the growth rate, it insists on devaluation, and will cause greater inflation by raising utility prices. The fundamental rights in the Constitution, regarding the “provision of food, clothing, housing, education and medical relief for citizens”, are inconsistent with any IMF programme. In fact, at the end of the anticipated IMF programme, we will add many more to the ranks of those who “cannot earn a livelihood due to infirmity, sickness or unemployment”. Perhaps it is best to remind ourselves, there was no IMF in the state of Madina. No confidence in PTI government to do anything good for the country. Unfortunately the government is running on the platform of ideology and what pleases the certain segments without realizing the limitations of the society. Our economy is cash based economy, heavily relying on imports and people paying utility taxes for various items (petrol, electricity, water, gas, food etc) without knowing even if that goes to the govt kitty. Considering the amount of circular debt and lack of investment in the country one need to prioritize focus. Focus should be on gradually putting brakes on unnecessary imports with the incentive to exports (which may take years to show results), reduction in government spending at all levels, giving incentives to businesses who spend money in social programs, gradually move from cash based economy to electronic transactions and give bureaucracy incentives for reducing red tape. Focus should be on creating opportunities rather spreading fear. In time the govt will have revenues to spend on people. Pakistan has already squandered the money borrowed from friendly countries in last eight months. One need to ask how long will dollars borrowed from IMF will last? And after that what??? So you acknowledge that they are incapable of fixing things by themselves but at the same time they shouldn't seek the IMF's help? They only do things when outsiders tell them to. Otherwise they are incorrigible. This is umpteen time the problem is highlighted without any suggestion of solution. Yes the whole nation knows that going to IMF would create further problems but is there any solution of external sector meltdown without their support. The ratings agency Fitch aptly described Pakistan problem six months ago by telling that we had been living beyond our means for a decade and time has come to adjust our way of living to within our means. Its going to be extremely hard. We escaped terror related trap of partly our own doing and partly created by our external detractors with immense sacrifices. Almost the same amount of effort and pain is coming our way if we have to survive this economic mess created by borrowing of criminal proportion by previous two governments. Yes the current government isn't performing optimally but we as a nation has not realised the extent of damage heaped on economy by our last rulers. PTI govt has lost the direction. Blaming opposition for everything is not a good idea to engage the innocent citizens and will definitely not work in longer period. If they have no strategy/solution for the current mess then they should take help from the other parities parties because we can't afford venture. Furthermore the PTI should halt that they have the loyalty certificate while other have none. Well written but would have been good to cite more facts and figures to provide more context to the terrible mismanagement by the Finance Ministry. Better than rolling out Ehsaas would have been focusing on good management of the economy as inflation coupled with currency devaluation is going to increase the population under poverty line beyond the reported 30%. A survey at Cornell University asked students to rate themselves in terms of how smart they thought they were - based on the results the survey showed that the students who thought they were smart very actually average or below average in academic performance, while the high achievers in academics ranked themselves low. Imagine how Asad Umar would have scored himself - tells us a lot about the state of affairs! Hope IK cuts his losses short and takes bold decicisions - Asad can continue to play a role in Industries, Trade and Commerce type portfolios. Please spare us from Asad's bright mind in Finance. Powerful piece. Wish the author had delved a bit deeper into analyzing possible solutions - this government needs all the help it can get. Without help and ideas from outside the ruling party, it is pretty much the blind leading the blind. Will the IMF bailout work? Let's not get into a wrestling-type discussion. Did it help 18 times before? Now risk a guess. It is still better than to hand over government to thugs and cheats. Good intentions do not mean much if the management is weak. Pakistan ranks almost 50-60 in GDP rank but spends in top 15 on defence. The day policymakers understand this, pakistan will start prosperity. PTI is shamelessly not correcting its course, FM has failed in every step and decision he has taken so far. I wonder why is he still in the chair and being allowed to push the country further into darkness. People angst and frustration has already risen to unprecedented levels. All people supporting promises in electioneering and campaigns stand broken and abused. If he is to try more patience, it's going to be bad news for him and for the PTI. Showing the mirror. Perhaps we need more wake up calls in every department now. I dont think PM Imran Khan has a proper understanding of economics or has a clue about how and why Pakistan finds itself in its current position. He falsely believes looted wealth by some politicians he dislikes is the cause of Pakistan's problems and all the governments time and resources are therefore being used to hound those politicians. If the diagnosis of the problem is wrong, treatment will not succeed however good the intentions. The issue is that Pakistan is a consumption based economy and highly dependent of external inflows either in terms of remittances or debt. The period when the two together are healthy, the economy looks healthy but the moment these or anyone of them comes under pressure or debt servicing burden increase, the economy shows up its fragility. It is beyond comprehension that in past several decades, no step of any significance was taken to increase the goods or services output and their exports. Without which even a robust expenditure on infrastructure is merely an expense rather than investment. Everyday i see a new article lashing out at Finance Minister on his wrong moves but i donot see any prolific suggestion or concrete measures to curb the effects of this economic state... Criticism is good but with a solution !! PTI government has been making often contradictory statements regarding the state of economy without any clear roadmap for its turn around. Govt needs to declare a financial emergency pronto. If you have cricketers and actors at the helm what else do you expect? And if you are so intolerant as to keep an eminent person like Atif Mian away to advise you on economy what else do you expect? Well, Pakistan should ban luxury items like mobiles over a certain price, put up heavy taxes on SUVs and all luxury items, even consider banning sale of new cars and even ration fuel usage. The Rich waste resources while the poor struggle with inflation. Its common sense to block wastage. Fuel is the largest import followed by the flood of electronic goods from China, and frankly both can be (and must be) reduced by 50% in such a dire situation. Look at what India did in 1991, in a very similar grim situation. The then PM , Narasimha Rao brought in Manmohan Singh, an economist with credentials as the Finance Minister. Gave the political support for the FM to implement policies appropriate for the turnaround. The rest is history. Pakistan did not have a functioning Foreign Ministry for very long. It was Adhocism. The consequence is now felt in the economy and other sectors. International engagements has longtime gestation and profound impacts. IK thinks he can hit some six’s and four’s. No. This is a different kind of ball game. The government of Pakistan doesn't have any sound plan of reviving the economy. It seems the government think the borrowed money would somehow fix its economic woes. Can a cricketer's brain suit a politician's brain? That's the question of the hour. A cricket captain may have his Christma with the masses and he might have brought smiles to masses at some time, but to expect him to be an economic wizard will be biggest folly. Rather it was not appropriate time for him to have become the PM. He should gave left the economic problem to be sorted out by those who are meant to do it. Finance ministry should have team of economists, industrialists, diplomats and Bankers , then theyt can take a very wise decisions keeping all aspects in mind. No IMF bailout this time. Why did the Rupee fall last week and so much? Because people have simply lost confidence in it and want to keep their wealth in other currencies specially USD. So the demand is high or very high and the supply is low or very low. Now use your common sense. I’ve told you enough. Currently, there is a need for good suggestions from every statesman who may open a route for a government. Now all the government is looking for a proper direction, which may help them to come out of economic quagmire. It is essential for those who keep a good acumen about any subject to come forward with a solution. It is far too easy to gauge state critically but it is extremely genius to give them a practical advice, which could bring good returns after being implemented. Reading the article was a waste of time for me. The writer has mentioned nothing new about the economic worries of Pakistan. We, the ordinary citizens of Pakistan, have got fed up with the kind of analyses that offer no solutions. Everybody knows the problems but nobody has a magic wand to give immediate solutions. And let me say nobody can fix Pakistan's economic issues in a matter of a few months or even a couple of years. Dear friends, pleas stop running round the bush. Catch the bull by the horns. The only problem with your economy is defence expenditure. India has done to you what USA did to USSR. No matter what you do, unless you address this cause, you will allways be in a tight spot. This nation is trying to match its 10 times larger neighbor. So this was a pure critique or was there ever an intention to propose solutions by the author being a "political economist?" Pakistan's Happy index is still high like its inflation. That is feel good about in current scenario. @Iftikhar Khan, Absolutely the situation is extra- financially bad, needs extraordinary financial recoveries, from A to Z. All loan defaulters, all short tax non payers, all corrupt, and money launderers. Courts must understand and decide fast. IMF bailout has happened nearly 20 times already and they are all a temporary fix, what is going to be different this time? Stop blaming the politicians . It is the people who are adding millions each year , sixty million in the next ten , about the population of UK. No economy can grow at the pace to stop living standards falling. A one or two child limit for three generations must be imposed. Note China is still adding millions each year even after 30 years of one child policy , so there is no time for India and Pakistan to waste. Dr Akbar zaidi , dr Asfaq Khan , dr ishrat hussian are gen is fiscal and monetary policies . It’s enough corruption that a bcom pass is ruining the fianance ministry . Blaming the current government, without a single solution, or an overview of what might have been done differently smells of playing the audience. I blame the previous governments and our "political economists" who never raised an alarm in the past 5 years and still do not admit that we are currently paying for the artificial growth thanks to the very "competent" previous government. IK spent years making inflammatory speeches and holding dharnas but did not build a team to address issues and make policy, and did not have any clue as to how to govern or make policies himself. His capabilities are clear now. PTI is doing great JOB. What else are they going to do KEEP borrowing? How long will that last. . Borrowing only relives for short term but future of Pakistan will be gone!. If these idiots of PLMN and PPP had done something in last 30 years we wouldnt have had gotten to see this day today. To fix this issue will have to take atleast 2-3 years. Have patience. During this year alone Indian foreign exchange reserves INCREASED by $12 billion or some 50% more than our TOTAL reserves, May be we should ask Modi for advice? "The IMF will further cut the miniscule development expenditure we have left, although defence spending will remain a matter of ‘national security’, hence, not to be touched. " IMF simply asks you to live within your means i.e. provides a fiscal deficit target. It is Pakistan and Not IMF which chooses to cut development expense while leaving defense expense intact. "Perhaps it is best to remind ourselves, there was no IMF in the state of Madina. " In the state of Madina, did people import luxuries and live beyond their means and expect to get bailed out? The existence of IMF is not stopping India and Bangladesh from investing in human development. It would not stop Pakistan also if it lived within its means. @Welcome , I don't think PMIK is concentrating on hitting 4s or 6s right now as he should. He is more busy in bowling as fast as possible and take as many wickets as he can. He does not realise he is chasing right now and the wickets being lost are all hit wickets. Seriously where are the Doctor and Gordon and Zak? @Vikas, - Busy in drafting economic policies. @Vikas, they must be day dreaming somewhere..
Why no mention of the real game changer CPEC? I read this peice twice. Unbelievable. As per writer it seems all damage done by new government, even more than what was done in the last 70 years. There is more criticism on individuals than their actions and policies. our requirements are peanuts for china.. dont worry. CPEC2 is all pakistan needs. Enjoy good days as long as borrowed money last. Who knows IMF will be willing to give any real money to Pakistan in coming months. Pakistan military doesn’t read such articles and will blame civilian. Pakistan is either bankrupt or will sell out/leased for 99 years majority of CPEC projects land to China. Even after that due to mismanagement and poor tax collection will make it worst country. Pakistan rupee will have 10:1 value as happened in past to Argentina and Mexico. Lest we forget - the IMF is not here to "help" us out of the goodness of its heart. it is in the business of making money even it takes a pound of flesh. Let's keep them as far away as possible even if it is painful in the short-term. Do you honestly think thoigh that IMF will only bring down fall? We are ready to take all the hardship to rectify the wrongs of the past. There is no long cure gain without short term pain. A comment about stock exchange would have helped. Can expected IMF bailout extend some support to it? I think common Pakistani people are not understanding the graveness of the situation. If you do not take a loan now (either from IMF or anyone else), you would default on old loan repayments and as soon as that happens your currency will go into a free fall. Hyper inflation would follow. Stop blaming IMF, it is actually helping you by giving you a loan right now. Take the bitter pill till some conclusive action is available. And yes, IMF is a business which needs to secure it's loan by making sure you spend within limits and repay. Pakistan is free not to take loan from IMF and avoid all conditions put forth by it. But think for a minute, and then see what will happen to your economy if you default. Forget rhetorics, live in reality. The current PTI government is highly incompetent. PTI and Imran Khan need to realize that the election is over and their focus needs to move from the sound bytes and the constant blame game. The focus of the administration should how to move forward and fix the economy. The blue eye finance minister is not an economist. our problem are self created.mr zaidi is right in every aspect. i.k is right stop money landering reccover black money . I can understand that you are a political economist and know nothing about economics itself. Let me put you at the decision making seat and ask what you would have done better if you have 19 billion USD deficit and yet need another 10 bn. USD to pay on loans. On the top of it, it's no Obama but Trump dictating the IMF who asks you to devalue rupee to 175 for a dollar. Then you turn your face and see that you are facing a 3000 billion rupee budgetary deficit and have about 1500 bn payables in circular and gas debts. While you scratch your head, you find out that the army has asked for a 600 bn raise in their next year budget. I feel lucky that, it is PTI who are in the government otherwise, had it been MLN, they could not even get that help from the Saudis and UAE. We are paying the price for enjoying MLN's party night, on borrowed money. MLN started with 2.5 bn USD deficit and 1.65 bn yearly installments and handed over 19bn USD in deficit and 10bn required for repayments. Very well written sir. Stay safe, bold journalists like you are an asset to Pakistan. All things said and done, the government simply has no apetite for tough decisions. Of the badly bleeding state owned enterprises, just PIA makes a loss of Rs. 125 million every day - yes that is about 45 billion rupees a year for a cumilative loss of nearly 450 billion rupees; why can't the government at least show the intent to ditch this bleeding ulcer? Instead, there are cosmetic changes like ending the serving of snacks in meetings. Governance needs toughness and the willingness to go home with head high (of not compromising) when push comes to shove. That toughness is in short supply given the fragility of the government (4 party alliance just to tide over the bad numbers in the assembly) and personal motives of the opposition. Que sera sera. Among many good points, two stand out are debt servicing (interest payment) and defense budget. While Defense budget can be controlled by reducing threat through agreements with neighbors and strict law enforcement inside, the interest will continue to grow. 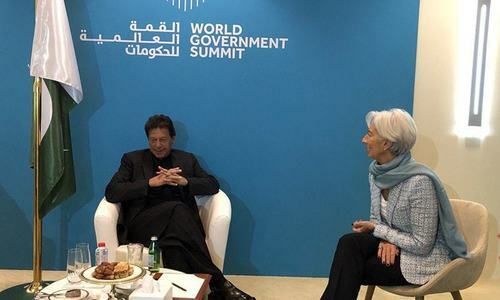 I thought I K Khan was against going to IMF. The only way by which Imran khan and its Government can shut the mouth of their opponents is by improving over all economic conditions of the country which they had fail to do so despite 8 months in the govt. They had promised to do tax reforms before election but there is no sign of it till date. They had promised to provide more jobs for youth and middle class but instead of providing jobs they had taken the jobs of many people by demolishing business areas across the country which results in declining of economic activities. They had fail to generate local and foreign investments . The price of dollar has reached 140 + which result in direct increase of the foreign debt and more inflation which has reached 8.2% . They had promised that they will recover the wealth from corroupt people but till now they had not achieved any significant sucess in this matter. Whatever happened to the rivers of milk and honey that Imran Khan said we will have 90 days of his administration? At least do we have river of sewage? An excellent analysis of our existing financial mess some created by the past govts. & more by the present one having no clue of what is required to be done. The writer is absolutely right that having exhausted all other venues to meet fiscal & current account deficicit & for that matter payment of circular debt having swelled due to devaluation of PKR, finally we are forced to swallow bitter pill of IMF bailout package with stringent austerity program. Anything without any solutions is useless. The writer should have provided facts and figures and some solutions as well. Just criticizing is not enough. I agree with your point that "Ehaas" program is over-ambitious in view of the current economic crisis but I will disagree that the current crisis has anything to do with any think of current regime? The imports increase from 36billion$ in 2013 to 64 billion$ in 2018 while the exports hit their low from 25billion$ in 2013 to 16 billion$ in 2018 that means that the trade deficit has increased from 11 billion$ to mind-boggling 5 times higher 48billion$ during last 5 years. Besides the national debt. climbed from 60 billion$ to 96 billion $ with almost every institution in Pakistan at the verge of collapse in the last 5 years. The deficits, payment crisis and other economic problems were already there and the Pakistani economy is under pressure since long.
" " Whatever happened to the rivers of milk and honey that Imran Khan said "Peice of milk up by rs 23 per litre.